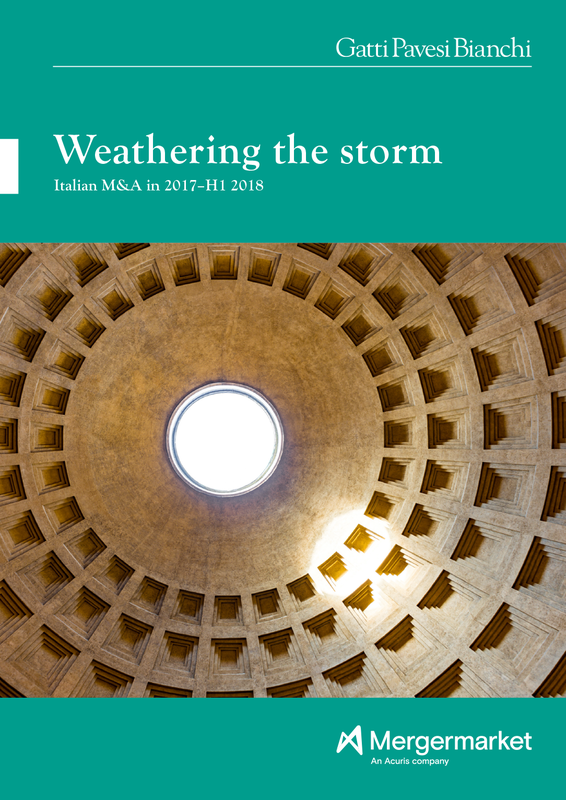 Mergermarket is pleased to present Weathering the storm: Italian M&A in 2017-H1 2018, published in association with Gatti Pavesi Bianchi. This report offers valuable insights into the M&A market in Italy and the outlook for dealmakers in the coming months. Volume and value levels this year look set to match 2017, with 286 deals worth €23.8b taking place in H1 2018. M&A activity is flourishing in the region despite political and economic uncertainties, with concerns around the direction of the current government, high levels of public debt and the vulnerability of the banking sector posing potential challenges to dealmakers. MA& activity has shifted notably across sectors in terms of deal value over the past four years. with high levels of value seen across the consumer and financial services sectors during 2016/2017 and across industrials and TMT during 2014/2015. Meanwhile, the industrials and consumer sectors led the way in terms of volume over the past four years. Foreign investment has driven Italian M&A in recent months, with overseas dealmakers being drawn to the country’s reputation for world-class products. However, domestic activity has also been significant, accounting for 54% of total deal volume in 2017 and 59% of total deal volume in the first half of 2018.